Leading Israelis, quite properly, have been paying increased attention to recognizing the importance of Mizrahi (Sephardi) music, poetry, culture and overall contributions to Jewish life. Both the Education Ministry and Culture and Sports Ministry have created new committees and prizes to stress the significances of Mizrahi contributions to all aspects of Israeli life, and to Jewish life throughout the world. All of this is wonderful – and surely deserved. But think for a moment about another community, ironically generally Ashkenazi, that has also for years been subject to neglect and even scorn. I refer to American Jews, half the Jewish population of the world. American society is pulsating with Jewish life, culture and scholarship. Yet Israeli government ministers, with impunity, refer to large numbers of American Jews as clowns or dogs. And what happens then (if anything)? Perhaps an exceedingly gentle slap on the wrist. Can you imagine what would happen if the same government officials made the same comments about Mizrahi Jews? Are American Jews, largely Conservative and Reform and historically so supportive of the State of Israel, the only ones upon whom it is permitted for Israeli officials to heap abuse and disdain? What a wonderful Jewish history there is in America. Jews first arrived in America after the expulsion from Spain, but the largest movement occurred between 1880 to 1935. Two million Jews (yes, two million) emigrated from Europe to the US. That is the largest wave of immigration in Jewish history. For the sake of comparison, in exactly the same years, the first to fifth aliyot (waves of immigration based on the Zionist ideal) arrived in Palestine; altogether, they numbered 300,000 (and a considerable number of them went back to their land of origin). Our Israeli education system, quite rightly, taught us about the individual characteristics of each and every one of these five waves of immigration. That is how these mass movements became legendary. But that same education system patronizingly largely ignored the “mass aliya” and grouped all the Mizrahi Jews together under one wave of immigration. Today, therefore, the promotion of Mizrahi Jewish culture to a distinguished place in the educational syllabus is truly the correction of an historical wrong. But has the cultural heritage of only one diaspora been ignored? While most American Jews remained in America, Masorti and Reform Jews are no longer an insignificant minority in Israel. More than seven percent of Israeli Jews today describe themselves as Masorti and Reform (about the same number as call themselves Haredi). 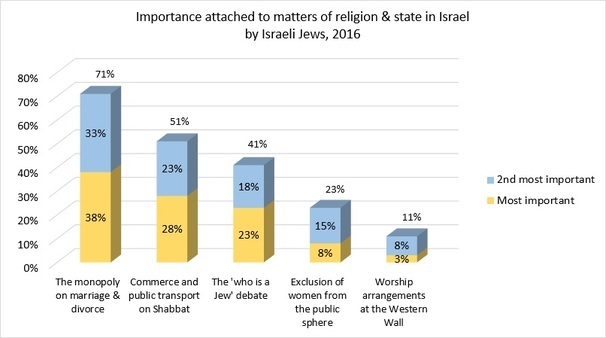 Polls clearly show that a majority of Israelis want to see government recognition of Masorti and Reform and acceptance of their rabbis, conversions and marriages. If Israel is, indeed, the national homeland of the Jewish people, can half the Jews in the world be ignored? Why is it more legitimate to be excited about a Tunisian hymn that has been lost, and then found, than to remember fondly the grace after meals from Camp Ramah or the tunes of the wonderful singer Debbie Friedman, a cantor on whose tunes half the Jewish people grew up? 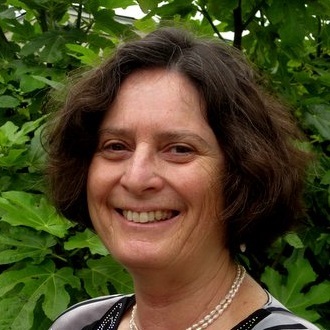 Why are the moderate, learned judgements of Mizrahi rabbis worthy of investment, and not the egalitarian religious revolution which enabled women to become rabbis, and has changed the Jewish people for generations? This is no accident. This is an intentional cultural rejection of half of the Jewish people, simply because in North America there grew a form of non-Orthodox Judaism that is both religiously committed and liberal; a form of Judaism that, heaven forbid, has proven that there is more than one way to be a Jew. And what have we missed? Goodness, so very much. Rich, Jewish culture, with music, instructive literature, amazing rabbinical judgements, revolutionary attitudes toward religion, which have written a significant chapter in the dialogue between man and God (and at the same time saved the Jewish people from assimilation); but, most of all, we have missed the substance of the State of the Jews. The national home of a people is a place that knows, that must know how to respect and to appreciate the culture, the customs and the heritage of all Jews. Otherwise it is not a national home. Yes, the “American Jewish Community” is also a worthy ethnic group. It might sound funny, but it most assuredly is not. Having been immersed for some decades now in Israel-Diaspora relations, I often reflect upon a short story that Martin Buber included in his iconic “Tales of the Chassidic Masters;” one Jew asks his friend, Yankel, do you love me? And Yankel responds, Moishe, how can you ask such a question? Of course I love you. 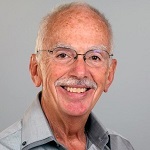 Moishe replies: But Yankel, how can you say that you love me if you don’t know what pains me? I thought of this brief, piercing exchange when we at Hiddush received the findings of our most recently commissioned poll (see below). Hiddush conducts many polls, but this one, in my view, has some of the most important implications for the Israel-Diaspora partnership in addressing Israel’s challenges of religious freedom and equality. We share it with you in this RRFEI bulletin so you may not only consider it and reference it in discussions, sermons and public statements about Israel, but also share with us (RRFEI) your thoughts on these findings in the context of our mutual desire to see Israel advancing the goals of religious freedom and equality. I encourage you to use our RRFEI Facebook group [link] (or offline exchange), as an intimate, discreet forum to discuss this very delicate and often explosive topic. You don’t need to be a big maven to see that Israeli Jews prioritize Israel’s religion-state conflicts very differently than the Reform and Conservative Movements have in their now three year almost exclusive advocacy focus on egalitarian Services (and Women of the Wall) at the Kotel. How do you feel about this radical gap? How do you view the irony that it’s been mainstream Jewish organizations with strong Israel credentials such as the JFNA and AJC, which have acknowledged the strategic priority of personal status matters and the need to actively advocate for the advancement of freedom of choice in these areas, while the major religious streams have been mostly playing the role of back benchers, as they invested considerable time, energy and advocacy capital on the Wall? The other questions covered in the poll are of clear corollary importance. We so often hear reservations from American colleagues and community leaders, who ask: what right do we, living in America, have to interfere with these internal Israeli issues? Do Israelis listen to us? Is this the right time to raise questions of religious freedom and equality? The nuanced, yet compelling survey data underscores the eagerness of the clear majority of Israeli Jews for American Jewry to enter the battlefield, and join Israeli groups and activists in the fight for marriage freedom. The level of support and its intensity differs between challenges of utmost importance and concern, such as the right to family on the one hand, and, on the other hand, issues of lesser importance or greater ambivalence on the part of Israelis. Our polling serves as resounding endorsement for those in the American Jewish community who have taken up the cause of marriage freedom in Israel, and should stimulate further reflection, as to the almost exclusive advocacy focus of recent years on the Kotel. Let me make clear that I am not questioning the justice of the cause of freedom of worship at the Kotel for egalitarian groups and for WOW. I wholeheartedly support this. My question is that of individual and communal priorities in a reality in which nobody seems to be able to advocate effectively for multiple social causes (For obvious reasons I am not referring here to the controversies over security, settlements and the peace process). I am also concerned with the related question of the degree to which we should place great value on seeking a common front with Israelis who share our values of a democratic and religiously diversified Israeli society, as well as the degree to which identifying a cause, to which both our communities attach high levels of importance, should be a primary consideration in making our choices. 60% of the Jewish Israeli public supports the involvement of American Jewish organizations in advancing marriage freedom in Israel. There is no doubt that for Israelis – breaking the yoke of the fundamentalist Orthodox Rabbinate in marriage and divorce is a top priority among the religion/state battles. Israelis welcome American Jewish partnership in advancing this cause, both for the sake of Israel and for the sake of world Jewry! The survey results demonstrate the support of Israelis for American Jewish involvement in the struggle for religious freedom in Israel in general and for marriage freedom in particular. It is critical as a counterbalance to the political extortion of the Haredi parties, which is antithetical to the clear will of the people and to the core principles of democracy and civil society. As long as the Orthodox Rabbinic establishment controls marriage of all Jews in Israel, hundreds of thousands of Israeli citizens are denied the right of marriage in Israel, and the majority of children growing up in today’s American Jewish community would be ineligible to get married in Israel, should they wish to make their home there. Last week, I emphasized that the battle over the Kotel agreement and Supreme Court ruling to allow non-Orthodox converts access to Israel’s public mikva’ot is not really over the Women of the Wall’s prayer services or the non-Orthodox movements and their converts. Rather, it is over contrasting visions for the State of Israel on matters of religion and state. The recent Pew report, as I wrote at length, indicates that the population represented by Gafni, Litzman, Azoulay, Deri and their colleagues, strongly desires to turn Israel into a theocracy, or as close to one as possible. In such cases when religious edicts clash with the rule of law and democratic principles, they believe themselves to be obligated to follow their interpretations of halakha, rather than civil law. Their political clout allows them to “dance between the raindrops,” and bend the law to suit them, even if this flies in the face of democracy, religious freedom, equality, etc. They aim to fashion Israel into a state not unlike those run by sharia law. Minister Azoulay’s declaration that he would not sign the regulations passed by the Government in the Kotel agreement “because his rabbi told him not to sign” is only one more recent example of this intolerable situation. PM Netanyahu finds himself a rock and a hard place, for he does not support the vision for a theocracy, and would like to make good on his promise to Diaspora Jewry that “all Jews should feel at home in Israel.” However, the threat to the integrity of his coalition government is rising due to forces that aim to unravel Israel’s democracy; forces for whom Israel-Diaspora relations and the rule of law are meaningless; forces whose only considerations are utilitarian. The clearest expression of this is that the battles against the non-Orthodox movements and against the supreme court are the same battle. This was made utterly clear in a radio interview with Minister Rabbi Litzman (quoted above) about the upcoming vote to reverse the Supreme Court’s ruling on the mikva’ot (you may read about the details of the vote and its outcome here (in Hebrew), including responses from Hiddush, the non-Orthodox streams, and representatives of the Jewish Home and Kulanu parties). These issues are again rising to the fore, which is why we believe it is so urgent for RRFEI members and friends of Israel in the Diaspora to mobilize in this existential battle. This is not simply a struggle for the rights of the non-Orthodox streams. It is a battle for the future of Israel’s soul, and the extent to which the Jewish state will be able to sustain its partnership with the Diaspora. This agreement IS a compromise. The Rabbanut has won full legal control over what the world normally considers to be the Western Wall and its plaza. In return, liberal forces have gained a promise and guarantee (for whatever that is worth) that within two years a large space next to that other side of the Western Wall will be fully open for pluralistic services with no control by or influence of the Rabbanut. The plaza will be available for national ceremonies which will permit women’s voices and equality among the genders in such national events. Those seeking the right of women to read Torah and wear Tallitot and Tefillin in the traditional area of the Western Wall have lost. Those seeking to totally take the traditional area of the Western Wall out of the hands of the Rabbanut currently controlling them have lost. The compromise does nothing to address the pursuit of marriage equality and and true civil rights with an Israeli society. But as with many compromises, there is much to celebrate here. 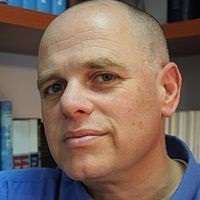 Gilad Kariv struck a proper note indicating that we should celebrate for today and use the gains of this compromise, however limited, to re-energize our efforts to strengthen all of our liberal religious causes in Israel. For whatever it is worth, this compromise points again to the importance of diaspora influence in the shaping of some aspects of decision-making in Israel. RRFEI should be able to pounce upon this fact in a drive to further strengthen its own significance within the North American community. Ever since Chanukah, there has been a lot of media traffic regarding President Rivlin’s “change of heart” as to non-Orthodox Judaism. Much of it focused on the Chanukah event sponsored by the UJA Federation of NY, which brought together rabbis of different denominations to listen to President Rivlin, following “introductions” by Rabbi Rick Jacobs, head of the Reform Movement, and Rabbi Steven Wernick, head of the Conservative Movement. This Chanukah event was titled “Shevet Achim Gam Yachad.” Both Rabbis Jacobs and Wernick are to be applauded for their commitment to having religious freedom become a reality in the State of Israel and the non-Orthodox movements being accorded equal status to that of Orthodoxy. Below, we will try to unpack the encounter and related events and consider its actual substance, regarding whether we are indeed witnessing a change of heart on President Rivlin’s part, and what this exchange may suggest for future strategy in this arena. As you will see below, the specific issues raised with Rivlin were: that Reform and Conservative rabbis should be officially allowed to sit on rabbinical courts, perform weddings, funerals and conversions, and receive state funding for their congregations in Israel. President Rivlin responded that he “believe[s] it is very important for the State of Israel to show full respect and sensitivity to all American Jews,” and that nobody should deny another’s Jewishness. The President’s words drew praise from many in the non-Orthodox world. As we know, “the devil is in the details,” and breaking down each speaker’s terminology and comparing their use of language is very instructive, for this casts a clearer light upon President Rivlin’s response to the two American rabbis. Rabbi Rick Jacobs: The time is long overdue for equality to reign throughout the State of Israel, and because of our deep love for and commitment to the ideals of Israel, we insist on equality, not just at the Kotel (at the Western Wall), but also in rabbinical courts, under the bridal canopy, at funerals and conversions, and the founding and funding of our congregations… It cannot be that the great ingathering of the exiles will result in the only democratic state in the world that formally does not grant equal rights to the majority of the Jewish people. 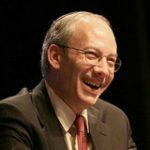 Rabbi Steven Wernick: … the challenges that we believe are important both for our Jewish brethren in Israel, as well as for us in the Diaspora. And that is having the sense when we come to Israel, when we talk about Israel, when we advocate and support Israel, that Israel is indeed the homeland for all the Jewish people; that all of us – no matter which methodology, … it is one that is acknowledged, accepted and supported with full equality and in equal pluralism for all Jews around the world… Rabbi Heschel who was brought to this country, saved from the Nazis by the Reform movement, and found his home within the Conservative movement, in Israel would not be afforded the same rights as our Orthodox brethren in the State of Israel. Can’t do marriages, can’t do divorces, can’t do conversions, and other things. President Rivlin: The Jewish communities of the United States also have their own special flame and their own special character. I believe it is very important for the State of Israel to show full respect and sensitivity to all American Jews. It is important that we remember… that we are all one family. All feeling ahavat Yisrael – the love of Israel. That simple love for all the Jewish people of all groups and all streams. I know that all of the communities represented here share ahavat Yisrael and a deep commitment to the future of the Jewish people and to the positive image of the State of Israel. We must never forget that even the major differences between us are an honest expression of concern shared by all of us, whether Orthodox, Reform or Conservative… Jews of the United States and Jews of Israel – left and right – right and left – conservative and liberal – we all share concern for the Jewish people all around the world. We can, and we should, argue aggressively, but from the position of respect – of fairness – without denying anyone’s Jewishness, without denying the place of one approach or another within Jewish dialogue today… Jewish culture is a culture of dispute through listening – and that is the most important thing: to listen to one another, even though sometimes we cannot agree or we are not ready to agree, we have to listen to one another – all together. This side-by-side comparison of the three speakers’ words clearly illuminates the difference between the thrust of Rabbis Jacobs’ and Wernick’s demands, and the intent of President Rivlin’s response. Whereas Jacobs and Wernick were direct and earnest about their specific demands for equal religious status for Jews of all streams in Israel, Rivlin did not express support for any of those specific expectations. The President spoke instead of Jewish peoplehood and love, dialogue, respect, listening, acknowledging disagreements, commitment to maintaining the positive image of Israel, etc. Neither Bennet nor Rivlin are about to acknowledge that they consider Reform converts, for instance, as Jewish. If were to happen, then we would truly be on the verge of “messianic times.” Until then, we should be aware of the fact that in some of the critical “Who is a Jew” debates held in the Knesset in the past, MK Rivlin’s comments were some of the most vicious and anti-Reform ever heard in the Knesset. So while the leaders of Reform and Conservative Judaism listed specific grievances regarding exclusionary laws and policies that discriminate against their movements in Israel, the President responded to none of their specific complaints, skirting the question of concrete policy changes entirely. While President Rivlin used gentle, inclusive, even loving, language, and while he addressed Rabbis Jacobs and Wernick by their rabbinic titles, his response actually gave no indication whatsoever that he supports religious freedom and equality for all in Israel. Rivlin has surely come a long way since his time as a Knesset Member who called Reform Judaism akin idol worship. Yet, it is too early to attribute to him a genuine change of heart on these matters. It was not long ago that he chose to cancel a bar mitzvah ceremony for boys with special needs, which was to be held at the President’s residence and co-officiated by a Conservative rabbi. This naturally led to a very public outcry among the proponents of pluralism. 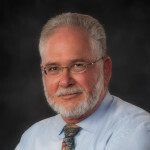 While Rivlin realized the damage he had done, and later hosted a multi-denominational learning event just before the fast of Tisha b’Av, the rabbis he invited to represent the three major streams were never given the opportunity to hold a dialogue among themselves and with the audience, as many had expected. Rather, they were each invited to speak, and as soon as they finished sharing their individual thoughts – the program was brought to an end. While there have been clear signs of progress, it would still be an exaggeration to regard Rivlin’s words and actions as an embrace of pluralism, or to believe that he has come to subscribe to the virtues of religious freedom and equality. In fact, while President Rivlin is to be greatly lauded for championing the equal rights of Israel’s Arab citizens and standing up against racism, his activism in these arenas makes his lack of support for pluralism all the more glaring. So while we’re hopeful that he will someday “come around,” the disparity between the wording of Rivlin’s response and the clear language used by Rabbis Jacobs and Wernick leaves very much to be desired.